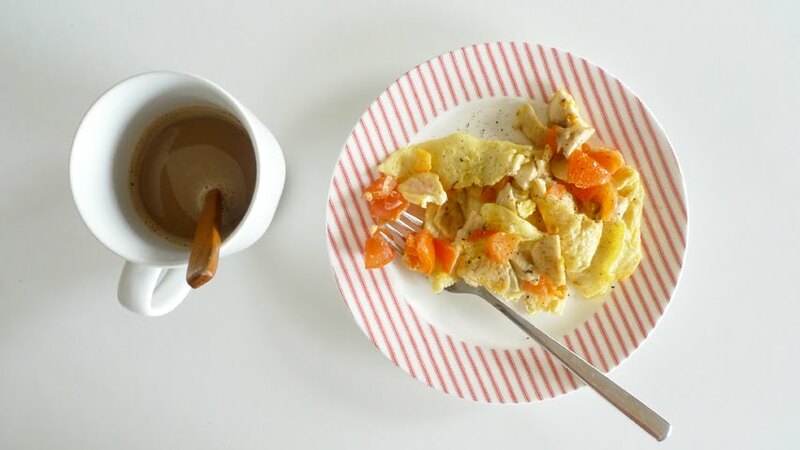 Omelette with tomato and sliced mushroom balls, coffee. i sprained my back this morning while making the bed. It must be a sign of ageing.